You are here: HomenextYour storiesnextAbout you and your plotnextNiall MaccabenextFirst Earlies in 30 ltr pots. 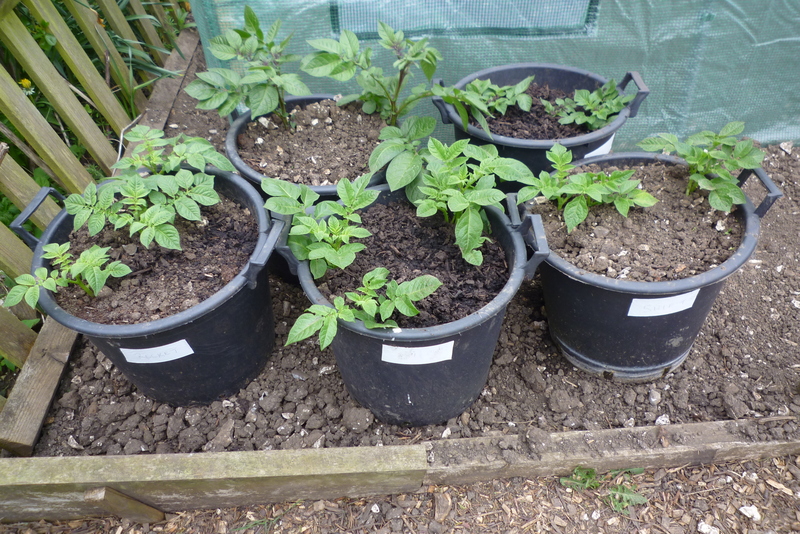 March 12th planted first earlies, 2 per 30 ltr. pots. Foremost, Red Duke of York, Swift, Rocket and Maris Baird. Last year planted at the same time they were ready first/second week of June. By using the pots this freed up more space for the mains.